You don’t need a lush garden or an expansive park to create a haven for pollinators. So why not make one right through Downtown Lincoln? That’s the idea behind the 13th Street Pollinator Flyway, which is in the works to become a reality this Spring. The community project was conceived by Nebraska Wildlife Federation's Carolyn Butler, Monarch Butterfly and Other Pollinator Program Director. 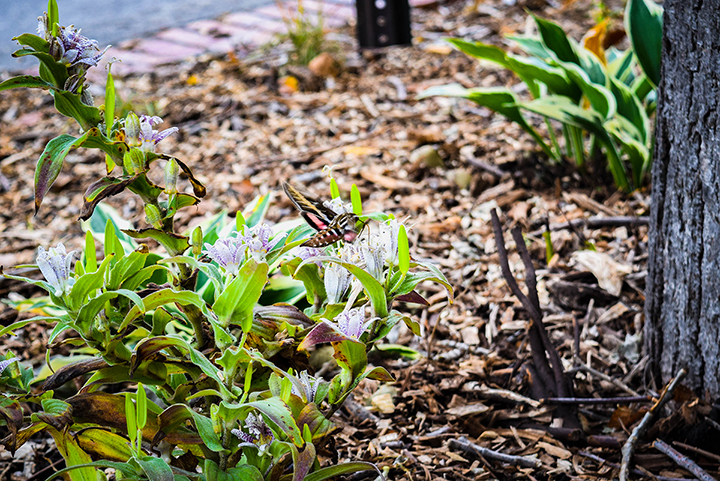 It entails planting native pollinator plants in the 67 permanent planting beds that line 13th Street along the eight-block stretch between R Street and the Lincoln Mall. Lincoln will follow the footsteps of other successful urban flyways in cities like Chicago and Austin. 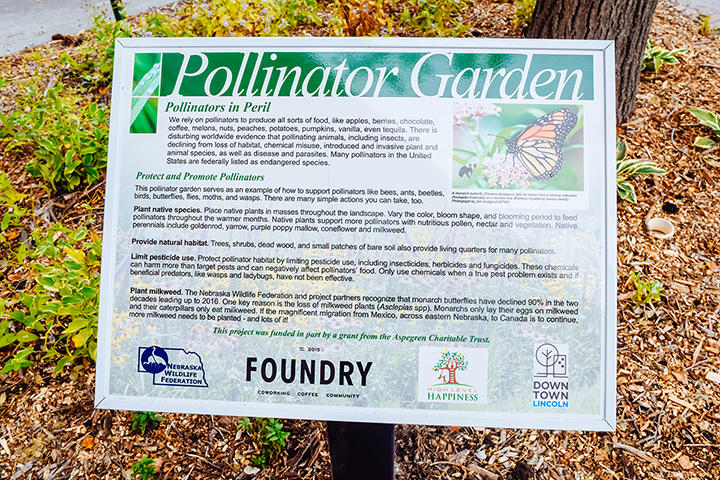 Butler was inspired to create a longer downtown flyway after she helped put together a small pollinator garden and educational signage in front of the Foundry coworking space on 14th street. By establishing native pollinator plants in the beds such as milkweed, which is the only plant monarchs lay their eggs on and the only plant monarch caterpillars will eat, the flyway will become an effective habitat for pollinators—that is, the birds, bees, butterflies and moths that cause plants to produce fruits and seeds and are essential to our ecosystem. Think about the flyway as a safe rest stop for butterflies, as well as a space to educate the public about pollinators in peril and the value of planting water-wise, perennial native plants that support Nebraska’s biodiversity. With the help of University of Nebraska-Lincoln environmental studies students, the Downtown Lincoln Association will design and oversee the planting of beds and long-term maintenance. The chemical-free native plants will be supplied by the Nebraska Statewide Arboretum, and Nebraska Wildlife Federation will coordinate the project and serve as a communication liaison. However, Butler said the key to a successful pollinator garden is getting the community engaged. 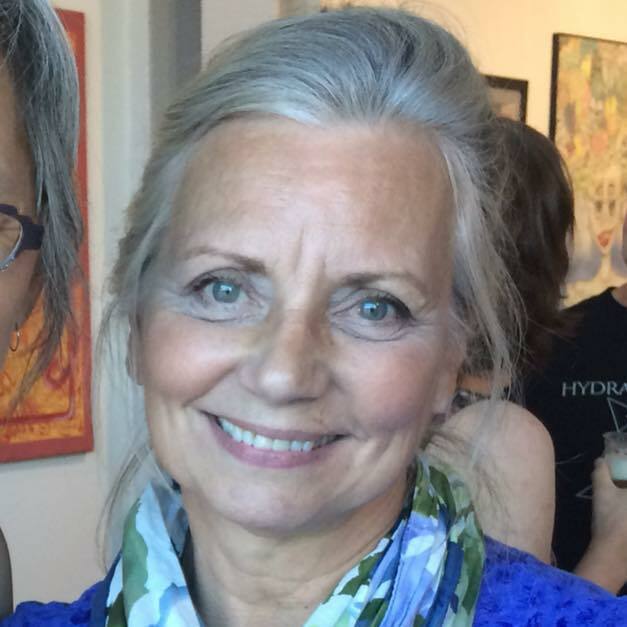 She’ll be focusing on finding ways to get the downtown businesses along 13th street to inspire their staff to take pride in the flyway. National Pollinator Week is June 17-23. Butler hopes to plan several events centered around the flyway to celebrate the week, like walking tours with horticulturists and entomologists as well as family-friendly activities. While the Downtown Lincoln Association will be absorbing the costs of basic plant materials and labor, Butler also said she hopes people will be inspired to give to the project. Butler’s ultimate goal is to eventually get downtown Lincoln’s flyway model out to other communities. For more information on how you can donate to the 13th Street Flyway, visit nebraskawildlife.org.